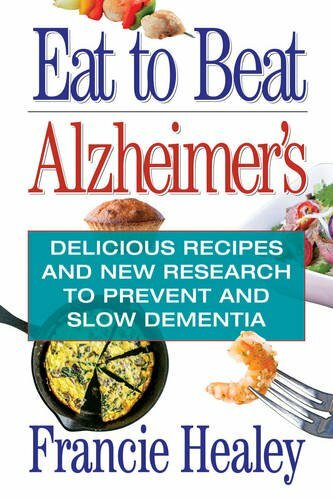 I’ve just published Eat to Beat Alzheimer’s, which is a cookbook and a manual for anyone interested in eating healthy and using food to promote brain health and prevent dementia. I’ve been living in New Mexico for about 15 years now and prior to that lived along the East Coast of the U.S. My background is a combination of fitness health, mental health counseling, writing and nutrition. I’ve been writing for years now on various areas of nutrition and health. I also run a private practice as a health and wellness counselor where I work to integrate nutritional and mental health counseling for the most sustainable results for clients seeking more health. So many things went into the inspiration of this book. I have always wanted to write a cookbook that highlights nutritional science and serves as an educational tool as well as provides great recipes. I think the biggest inspiration is to get the knowledge out there to as many people as possible that the power to be healthy and well really does lie in their own hands. Of course there are always things we cannot control, but diet is an area where we can make changes that will support our long -term health. It seems to me, an important message to share, that what is on our plates can act as a medicine, or a slow form of poison. Ha. My publisher chose the title! The biggest obstacle has been in the understanding of what this book really represents. It is full of cutting edge, new science. This stuff is not mainstream yet, although there are so many great efforts from many people working to get similar content out. Helping the publisher and thus, readers, understand that this book is groundbreaking because it busts a lot of current health myths. We are breaking down things like low-fat, whole grain diets as the healthiest way to eat. It is simply not true. The brain needs quality fat, and fat has been demonized by the food industry since the 1980’s. As chronic illnesses, like Alzheimer’s continue to rise, we need to look at where we have been misguided for consumer interests and not assume people are non-compliant. In my experience, everyone wants to feel and look their very best. Most people try hard to be healthy and are getting confused by conflicting information. So, my book, is more than a cookbook, it is information that can, and does, change lives. I’m an advocate for change and prevention and healthy lifestyles, rather than continuing along the same path and waiting for a cure that may arrive too late. We have what we need now to move in a different direction; we are not destined for illness. So expressing strongly to publishers and readers that this is a book about hope and a new way of living (and eating), not just a cookbook for healthy meals, but a book that addresses what health really is and begins the conversation so we can all start moving proactively into wellness. I have always valued self-expression, mostly because it hasn’t come easy to me. So I’ve learned the hard way the cost of staying silent about what matters to me. This is of course, applicable on many levels. Writing gives me an avenue to show up more fully in the world, to share a message that I am very passionate about, and it also provides a learning platform for me to continue evolving personally and professionally. I initially started to write for Mothering Magazine as a health and wellness expert, and so the promotion of health and food as medicine has been the gateway for me into finding my voice as a writer, and a professional. My life is very busy! I am a mother of two and I also work full time, so not many rituals no! I write when I can. I love collaboration though and find that I get the most flow from discussion. I’m actually much more at ease talking about this content, than I am writing it. So if I have any kind of ritual, it is to talk first to generate the content, and then I write from there. Oh yes and I continue to learn so much. Practically, I learned that one book, for me, will not hold everything I want to cover or convey! So, Eat to Beat Alzheimer’s is definitely the beginning for me. I also learned to let go of perfectionism, which runs along the same vein as fitting it all in. Especially in an area of emerging science. We are learning so much so fast in the world of brain health and nutrition that before Eat to Beat Alzheimer’s went to print, we are already working on the next edition. That’s not to say it’s an outdated book already, only that there is more and more to add! Also, I’ve learned that publishing a book and writing a book takes a long time for me as I am juggling so many other things, so I’ve had to be patient and trust the process as it unfolds. It is a constant process of refinement: of what to say, how to say it, and where the boundaries are for this particular book. I was surprised at how many seeds writing to Eat to Beat Alzheimer’s planted for me for future projects. That’s tough because I hold the belief that I am right on track with my life, so I don’t know how I could’ve done it differently and gotten the same things from the process. If anything, I’d say maybe I would’ve started it sooner. I love to read books that inspire and educate me. I read a lot of nonfiction in areas of health, nutrition, and self-help. I love writers that can take very deep concepts and apply those practically to daily life. Some of my favorite authors and books are Mary Oliver, Maya Angelou, Stephen Levine, Brene Brown, Carolyn Myss, Viktor Frankl, Man’s Search for Meaning, Anatomy of the Spirit, Daring Greatly, Quiet: The Power of Introverts in a World That Can’t Stop Talking, Lord of the Rings trilogy, Autobiography of a Yogi, Nourishing Traditions: The Cookbook That Challenges Politically Correct Nutrition and the Diet Dictocrats, Pride & Prejudice. I am currently doing research for my next book. I can tell you that it will be an expansion on themes in Eat to Beat Alzheimer’s because it is a much deeper look at brain health. This will be a book that addresses nutrition and its relationship to the brain, especially mental health issues like depression and anxiety. It will dive deeper into the significance of mindset and one’s approach to healing the body. I am really excited about it and I think it will be a very rich and helpful text for so many people that feel disempowered or resigned to feeling bad. Oh, just begin. Just start. You don’t have to have it all figured out before you begin because each step will inform the next phase. I think also be realistic about your expectations, but always advocate for your unique expression and vision. Anyone who is scared about getting Alzheimer’s for sure, especially if it runs in their family, but also for people who want to use food as medicine. This book will help you use food to bring down inflammation and toxicity, which is the root cause of so many chronic, modern diseases, not just Alzheimer’s. Anyone who is interested in taking their health into their own hands, who wants to feel better physically, mentally, and is ready for a change. They can visit my website, www.EatToBeatAlzheimers.com, or find me on Facebook. The book is available on Amazon and Barnes and Noble. Is it already available in Amazon? I can’t wait to read it.